Edging onto the dramatic Lake Wakatipu and overlooked by the spectacular Remarkables mountains, Queenstown is a compact town that by day, offers views at every turn, and by night a lively atmosphere in the numerous bars and restaurants that are filled with adventurers recounting their day’s activities. 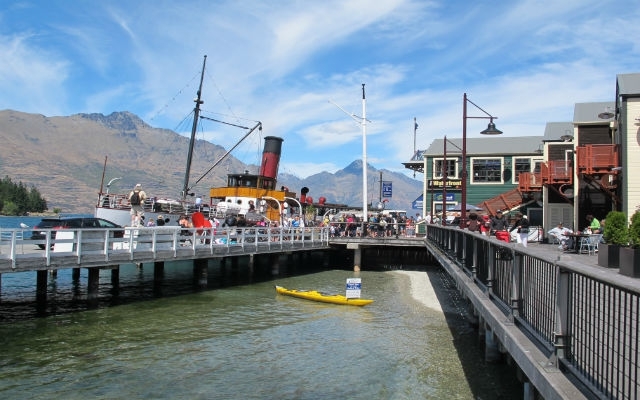 The Steamer Wharf area on the waterfront includes a number of quality restaurants overlooking Lake Wakatipu including Finz, Public Kitchen and Bar and Pier 19 Restaurant. The Village Green area is surrounded by more casual dining options, while close by at the top of Ballarat Street, Michelin star Kiwi and celebrity chef, Josh Emmit, operates his Rata restaurant. 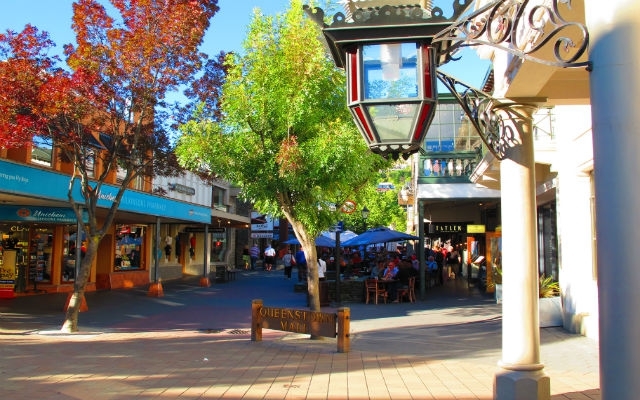 The main streets of Shotover, Beach and Ballarat include restaurants to suit all palates. If you’re after takeaways, head to Shotover Street. Our Queenstown Restaurant Guide provides more dining ideas. For lake views, head to Steamer Wharf, while the Village Green is a good spot for ‘happy hours’ which tend to run from 4.00pm until 7.00pm. Church Street has a few bars with nice outdoor seating areas, while the Mall has a number of restaurants where you can also enjoy a drink from their indoor or outdoor seating areas. Backpackers may favour Shotover Street. A couple of upmarket wine bars and pubs line Marine Parade to take advantage of the stunning views of Lake Wakatipu.. The main shopping areas are centred around The Mall, Camp and Beach streets. A number of activity booking shops, outdoor clothing and equipment hire shops can be found on Shotover Street. The main shopping centre is O'Connells at the corner of Beach Street and Camp Street. On Rees Street, the Mountaineer Building is home to a few retail units, gallery space and high end labels. Head further out to Frankton to visit the retail parks of Five Mile Shopping and The Remarkables retail Park. Read more in our Queenstown Shopping Guide. This is the prime area for wining and dining. 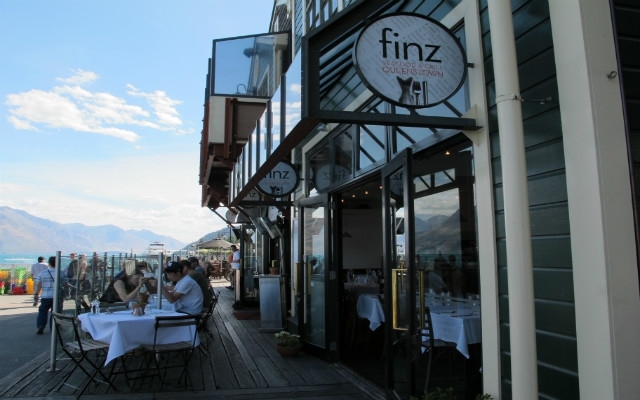 Quality restaurants including Pier 19, Finz and Public Kitchen and Bar all enjoy amazing views of the lake and mountains. A number of bars can also be found, while on the second floor is Skycity Wharf Casino. Head to this part of town, if you want to take a lake cruise aboard the TSS Earnslaw. The Village Green area is a small but perfectly formed landscaped area with terraced lawns and a stream running through the middle. By midday, you can expect to see people enjoying their lunch while later on the day the bars that surround the green, are a great place to take advantage of cheap drinks with the happy hours on offer. During the Winter Festival (Late June) it’s also the home of a temporary ice rink for skaters to enjoy. 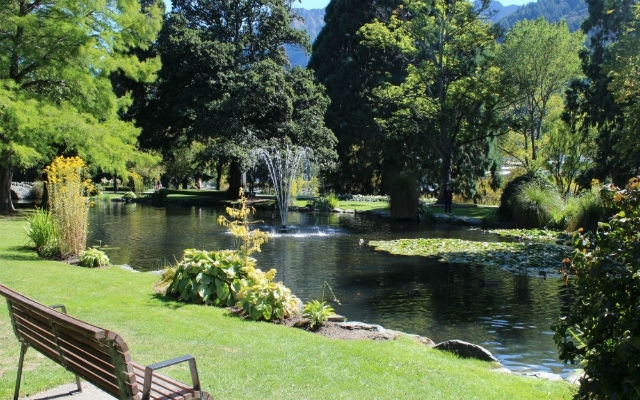 A short walk from the beach area, Queenstown Gardens provide a haven away from all the action. Immaculate lawns, a large water feature, a rose garden, sculptures and glorious views of Lake Wakatipu await. There’s also a Frisbee golf course which attracts fun and serious Frisbee players! 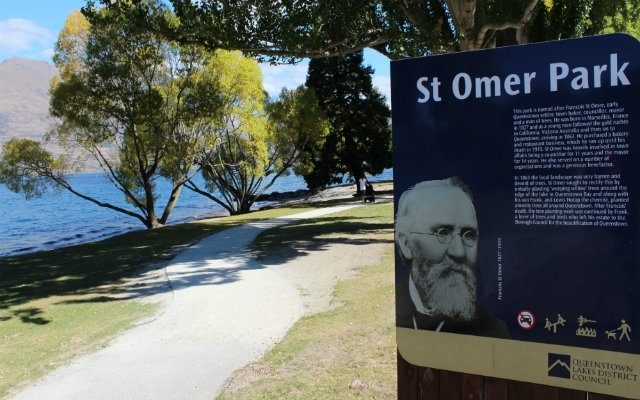 St Omer Park is a 1 minute walk from the Steamer Wharf area. Or, you can drive and park on Lake Esplanade road which is free. Along with fantastic photo opportunities of Lake Wakatipu, the park is a popular spot for BBQ’s (there are a couple of BBQ facilities to use) and has a playground area. Earnslaw Park is a small park that looks out onto Lake Wakatipu and the Remarkables. During the summer, it’s a popular spot for people to relax, read a book and share travel tips. 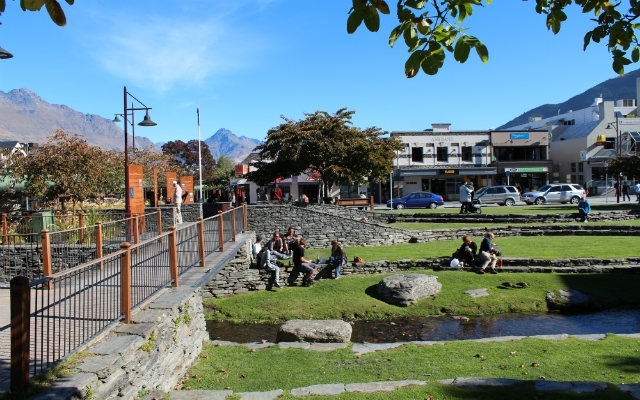 Every Saturday the park hosts the Creative Queenstown Arts and Crafts Market. The Skyline Gondola is situated at the end of Brecon Street, there’s free parking for up to 240 minutes. Or, it’s a short walk from the town centre. 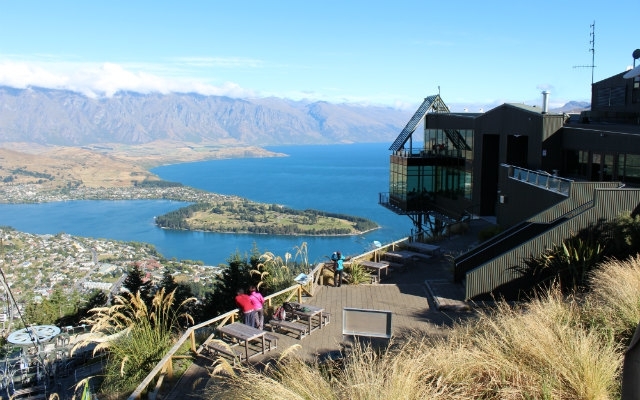 At the top you can enjoy panoramic views of Queenstown and surrounding area, a luge track, a Maori performance, café, buffet restaurant, paragliding and a few walking tracks. Mountain bikers are well catered for with the challenges of the downhill course. Thrill seekers also are drawn to The Ledge Bungy and Swing and ‘Zip Trekking’ through the forest on suspended wires. Check our 'Things To Do' section to see details of the activity operators.